The 17 day diet portion (rules here) of this 4-week eat-clean challenge is certainly limiting in terms of recipes (how much can you really make with chicken, turkey, and vegetables? ), but there ARE options. 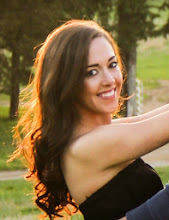 And I'm sharing one of my favorites with you! 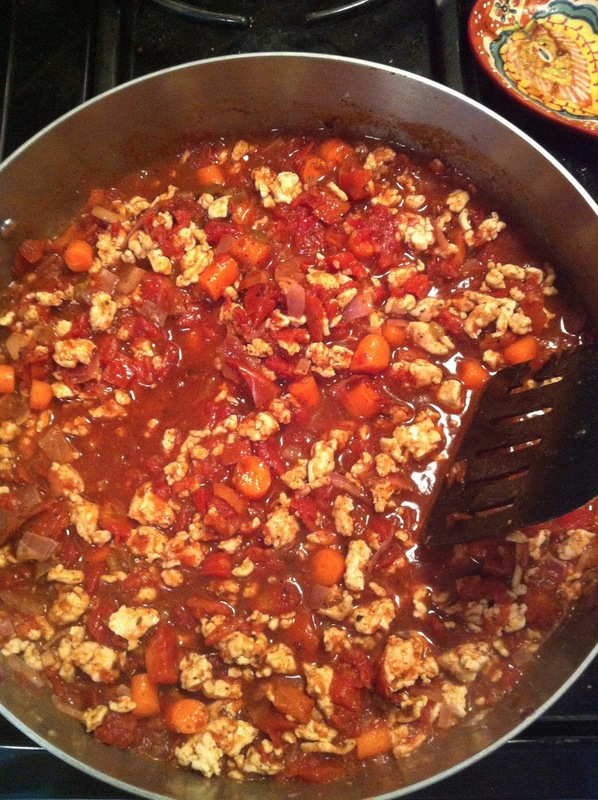 Super healthy, clean, natural turkey chili. Chop up an onion and mince 5 cloves of garlic (or use the kind from a jar). 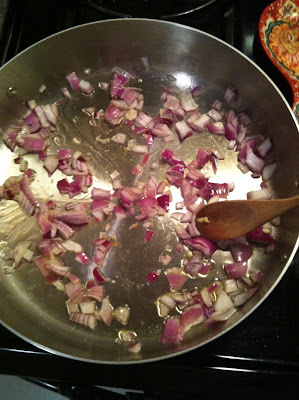 Heat up 1-2 tablespoons of olive oil in a large, deep skillet over medium heat. Add the onion and cook for 3-4 minutes. 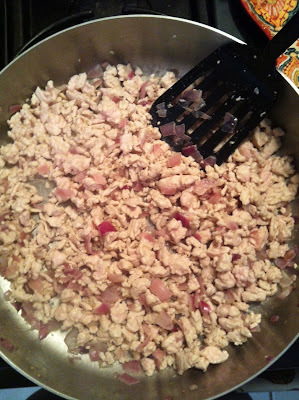 Then, add in the ground turkey. You want to use the leanest ground turkey you can find, and be sure to get natural, organic turkey (the only ingredient should be turkey breast). Let's just say... 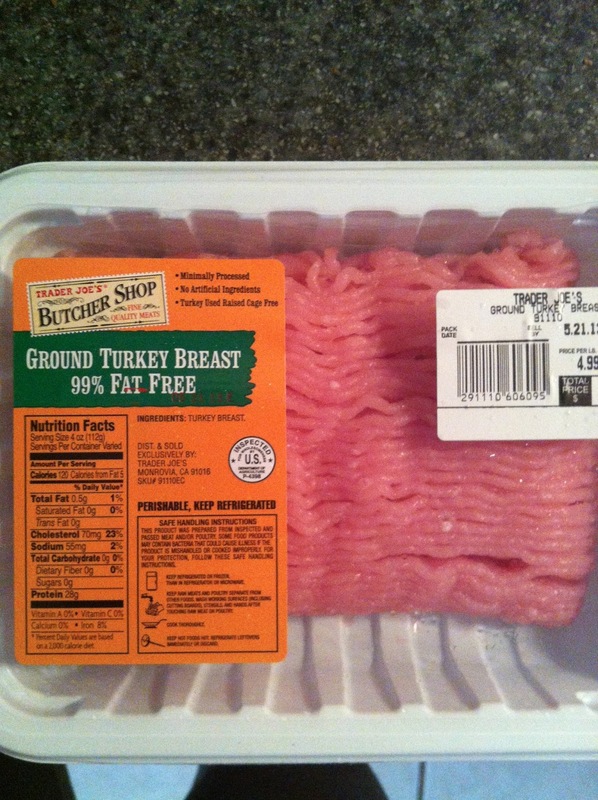 I've heard some horror stories about cheap non-organic ground turkey. Break the turkey up with a spatula as it cooks. Cook until it's no longer pink, about 10-15 minutes. 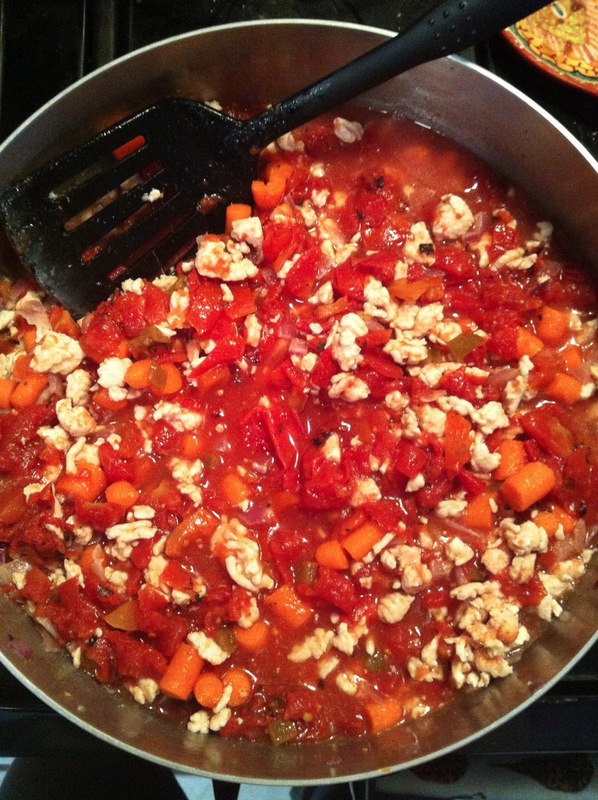 Then, add in 2 cups of chicken stock and 2 cans of natural, organic diced tomatoes with fire-roasted green chiles. If you're sensitive to heat, use 1 can of plain tomatoes and 1 can with the green chiles. Also add in about a cup of chopped carrots. 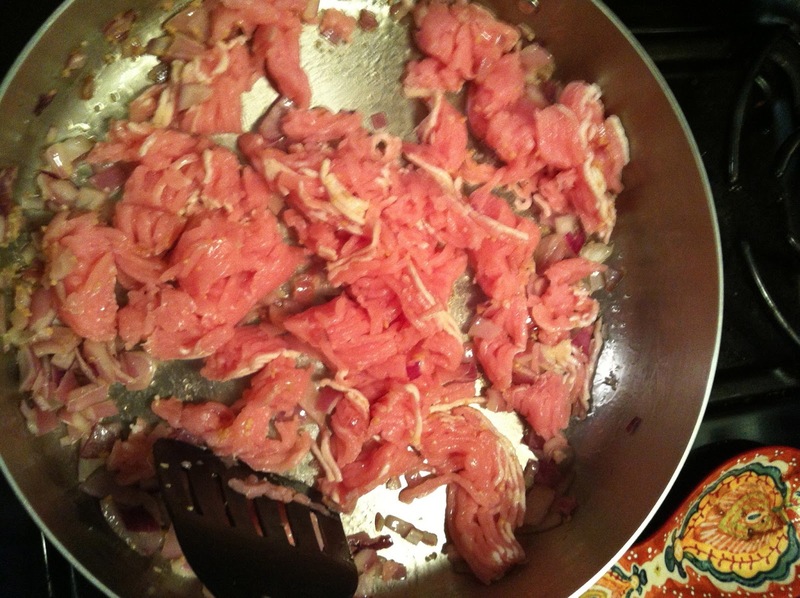 You could also add in some chopped bell peppers if you'd like. 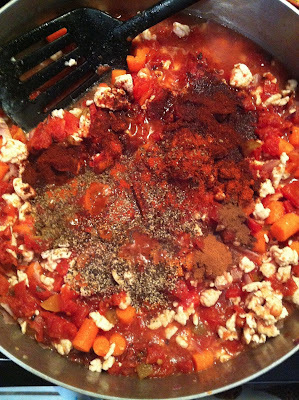 Then, add in your spices. Chile powder, paprika, cayenne, oregano, cinnamon, allspice, salt, and pepper. Stir. Increase heat to high and bring to a boil. Then, reduce heat and cover. Cook on low for 30-45 minutes. -Heat olive oil in a large, deep skillet over medium heat. -Add chopped onion and saute for 3-4 minutes. -Add garlic and cook for another minute or so. -Add the turkey and cook for 10-15 minutes, breaking up with a spatula, until no longer pink. 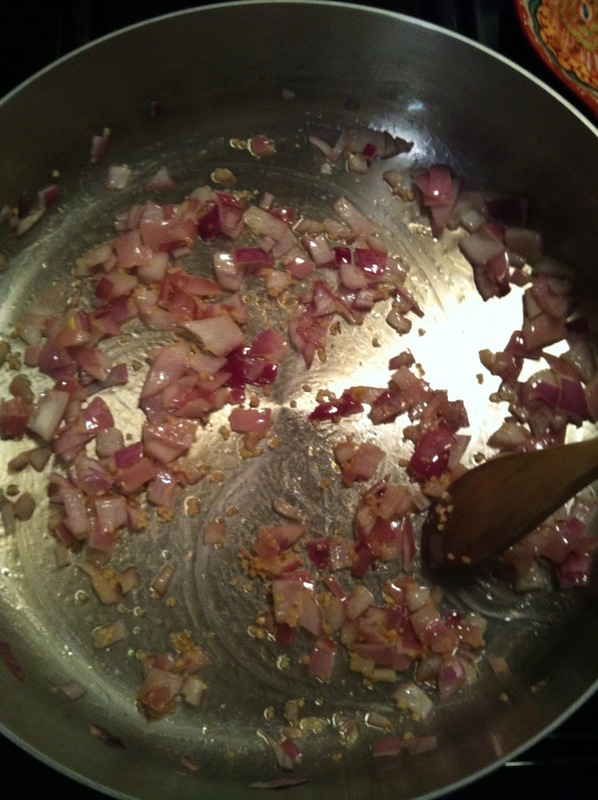 -Add in the remaining ingredients. Stir. Turn heat to high and bring to a boil. 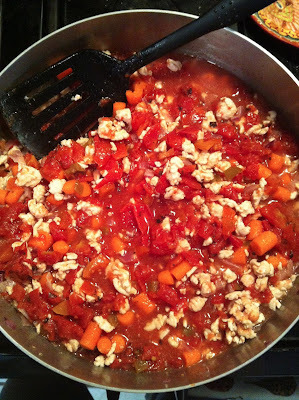 -Reduce heat to low, cover, and simmer for 30-45 minutes. I'm on C1 and I love this chili! I used a mix of bell peppers, onion, and added some chopped jalapeno and cumin to the ingredients also. 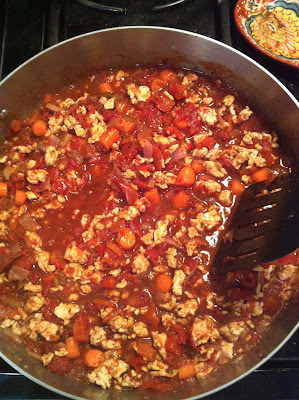 The cinnamon and allspice are a great combo with the chili! This definitely leaves me feeling more satisfied than a salad! Thanks for a yummy recipe!